Google has announced that "Nougat" will be the official name of Android N, the latest version of its Android mobile operating system. Android revealed the name on its Twitter and Snapchat handle. Nougat, a confection made from sugar/honey, dried nuts, and eggs, has Spanish-Middle East origins. 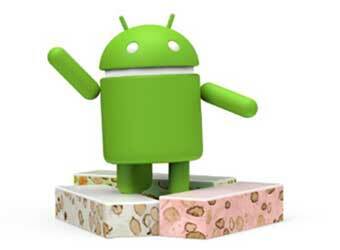 Android has named all its versions after popular desserts, in alphabetical order. Earlier versions were named Jellybean, KitKat, Lollipop, Marshmallow, etc. Last month, the company had asked for suggestions for the name on social media. One of the most popular suggestions on social media was "Nutella". In India, a popular dessert from Kerala, called "neyappam", was creating waves on the internet to be the chosen name of the next Android release, with many online campaigns rooting for it. Indians had pinned their hopes on Neyappam this time as Google is now headed by Sundar Pichai, who is of Indian origin. A website, androidneyyappam.com, was also created in support of the campaign. Other suggestions from Indian users included Nankhatai, Ney Payasam, and Nariyal ladoo. Even last year, during the launch of Android Marshmallow, Indians had suggested Motichoor Ladoo and Mysore Pak. Android N will have features such as opening two apps in a split screen mode and an improved version of the Doze feature which is expected to improve the battery life of the phones.